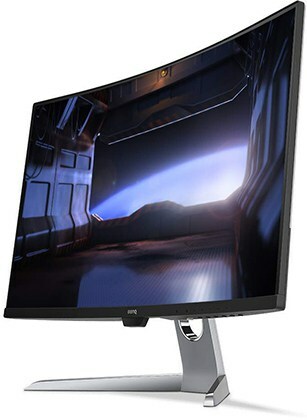 The BenQ EX3203R is a 32″ curved gaming monitor with 1440p, 144Hz, AMD FreeSync 2, and the HDR (High Dynamic Range) support. It’s a particularly great display for Xbox One S and Xbox One X gamers as well as for those looking for a big curved PC monitor with a high resolution and a high refresh rate. VA panel displays are praised for their high static contrast, and the BenQ EX3203R is no exception. With a contrast ratio of 3,000:1 as opposed to the standard 1,000:1 of other monitor panel technologies, the EX3203R delivers much deeper blacks and an overall better relation between the darkest and the brightest colors. In addition, the monitor covers a wide color gamut amounting to over 90% of the DCI-P3 color space which makes colors richer and more vivid. Equipped with the entry-level VESA DisplayHDR400 support, the BenQ EX3203R monitor can accept the HDR10 signal of compatible content and thanks to its wide color gamut and a peak brightness of 400-nits, give you a more immersive viewing experience with more visible details. While the small boost in brightness and color gamut provides a notable difference in comparison to the standard image quality, it’s not nearly as eye-catching as that of more capable displays such as the CHG70, the Philips 436M6VBPAB, or the Dell UP2718Q with higher level HDR support. The QHD resolution of 2560×1440 pixels perfectly suits this monitor. 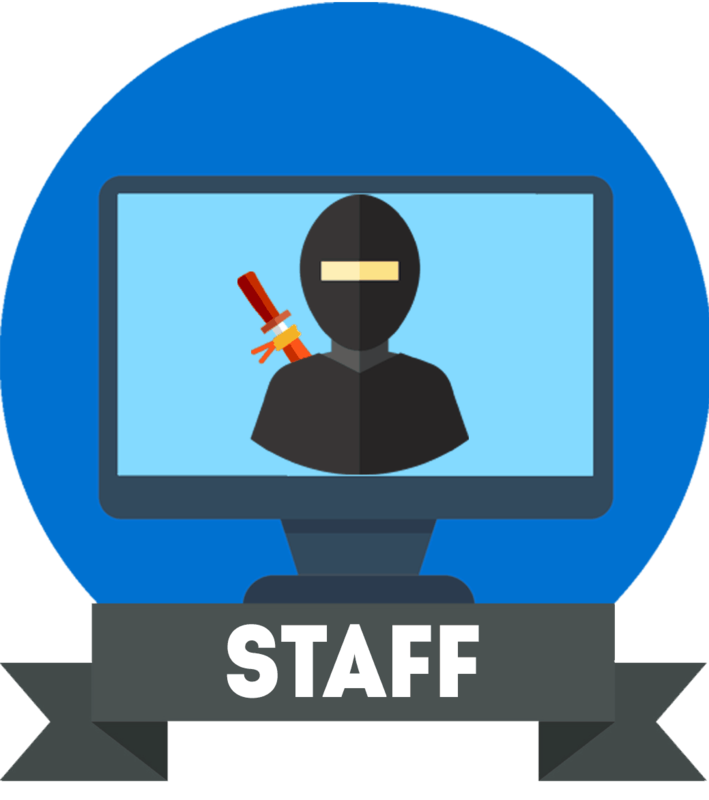 You get the same pixel density that you’d get on a 24″ 1080p monitor which will provide you with a decent amount of screen space and details. The BenQ EX3203R input lag performance is very good with only 12ms of delay which even professional gamers won’t be able to notice. The response time speed, on the other hand, is not as great. While the VA panel of the monitor ensures deep black shades, those pixels also take longer to change from one shade of gray into another or from black to white which results in prominent smearing of fast-moving objects in video games, particularly in darker scenes. Most of the time, the ghosting and motion blur is tolerable, but if you play competitive FPS games, a faster monitor with an IPS or a TN panel will provide you with a better gameplay experience. 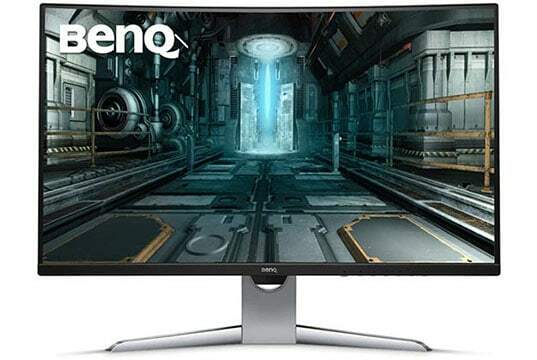 If you prefer better graphics and visuals, the BenQ EX3203R curved HDR monitor is for you. Like most of BenQ’s latest premium monitors, the BenQ EX3203R 144Hz display features the Brightness Intelligence Plus technology. In essence, this technology consists of integrated sensors which detect ambient lighting and adjusts the display brightness and color temperature accordingly for the best viewing experience for your eyes. The B.I.+ technology can also function in combination with HDR. As a result, you get brighter colors and maximum details while your eyes are safe from the harmful blue lights allowing you to play or work for hours without fatigue. You will also find several picture modes including Standard, HDR, Cinema HDR, sRGB, Photo, Gamer1 for racing games, Gamer2 for CS: GO, Gamer3 for Battlefield, two customizable profiles, and M-Book. Finally, the BenQ EX3203R supports the second generation of FreeSync which ensures low input lag for HDR gaming and a wider dynamic range (over DP only) due to the LFC (Low Framerate Compensation) technology support. This means that when your FPS (Frames Per Second) rate drops below the lower end of the dynamic refresh rate, LFC will double the framerate to maintain smooth performance. For this technology to work, you will need an AMD FreeSync-compatible graphics card, or an Xbox One X or S gaming console. 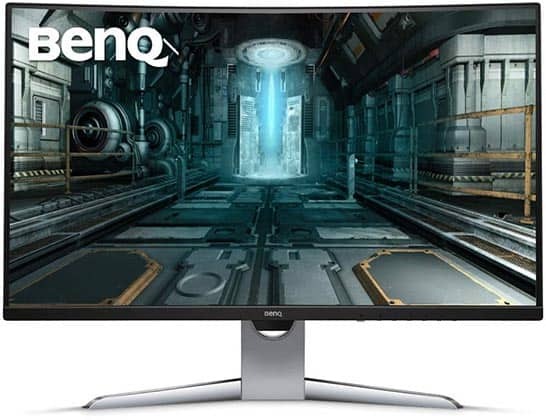 The BenQ EX3203R FreeSync range is 48-100Hz over HDMI and 48-144Hz over DisplayPort. The design of the BenQ EX3203R boasts ultra-slim bezels which along with the 1800R curvature make the viewing experience more immersive and cinematic. 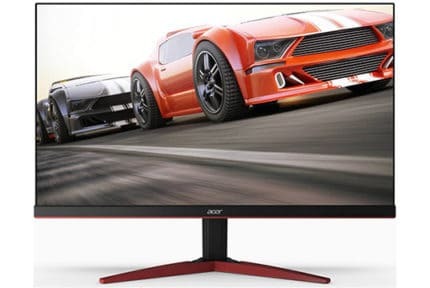 The monitor looks simple yet modern without flashy gaming aesthetics which is a big plus. When it comes to the ergonomics, you can tilt the screen by -5/20 degrees, height adjust it up to 60mm, and mount it on 100 x 100 VESA holes. Connectivity includes two HDMI 2.0, a DisplayPort 1.4, a dual USB 3.0 hub, and a USB type C port. Note that if you are using USB-C as the upstream port, the USB hub offers up to 5 Gbps bandwidth, but if you are using its alternate mode for display, the USB hub is limited to USB 2.0 bandwidth of 480 Mbps. The USB-C port on this monitor can simultaneously transfer data and audio/video signal to a laptop, but not power. 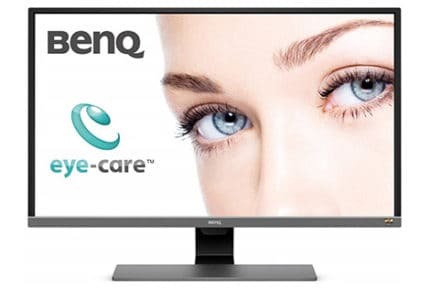 The BenQ EX3203R price is $699.99 MSRP which is a bit steep considering that you can get the Samsung C32HG70 for over $100 less. The Samsung C32HG70 is also a 32″ curved gaming monitor with FreeSync 2, but it also boasts a wider color gamut, a higher peak brightness, and even a motion blur reduction technology. So, unless you really want the B.I.+ technology and the USB-C connectivity, go with the Samsung CHG70 instead. The BenQ EX3203R FreeSync 2 HDR gaming monitor offers an immersive image quality, a smooth performance, and plenty of exclusive features. However, there are better and cheaper alternatives out there. The BenQ EX3203R delivers an immersive image quality, plenty of exclusive features, and an overall smooth performance, but there are a few drawbacks which we feel shouldn't exist at this price. There are cheaper and better alternatives such as the CHG70.